Sultan of Sokoto, Sa’ad Abubakar III declares Monday as first day of Rajab – Royal Times of Nigeria. The Sultan of Sokoto and President General, Nigeria Supreme Council for Islamic Affairs, (NSCIA), Sa’ad Abubakar III, has declared today, Monday as the first day of Rajab 1439AH. 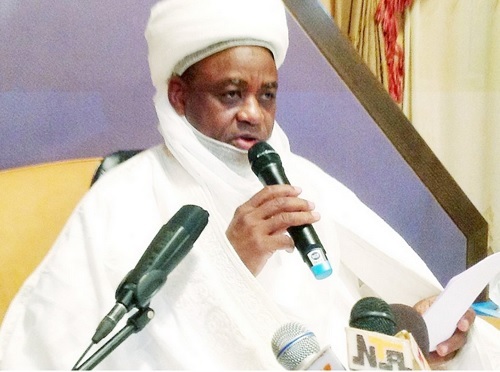 The Sultan, according to a statment signed by the Wazirin Sokoto and chairman, Advisory Committee on Religious Affairs, Prof Sambo Wali Junaido, said the Sultanate Council did not receive any report confirming the sighting of the new moon hence the declaration. “The Sultanate Council Advisory Committee on Religious Affairs in conjunction with the National Committee on Moon Sighting did not receive any report from various moon sighting committees across the Country confirming the New Moon of Rajab 1439AH, on Saturday 17th March, 2019 which was the 29th day of Jimada 1439AH.